With a growing oil and gas industry in the Pittsburgh area, 20/20 Landscape knows how important it is to be able to build pipelines efficiently to ensure the pipeline is cost-effective and installed in a timely manner. We offer a wide range of site development services in order to give our clients a properly cleared and prepared site for their operations. We understand how important cost-effectiveness is to your operations. Services like stump grinding can save you money by eliminating hauling costs and can also contribute to replenishing the soil in the area where the stump grinding was completed. By combining these comprehensive services, you can rest assured that your site will be cleared to your specifications, allowing you to begin your pipeline operations in an efficient and reasonable amount of time. Another way we can help you gain access to a site is through our road making and maintenance services. Some areas where pipelines need to be installed are inaccessible to vehicles and equipment. In conjunction with our site clearing services, we can also clear out and create roadways to allow vehicle and equipment access to your pipeline development site. Once the roadway is created, we will continue to maintain it and keep it clear of trees and debris so the road can serve as a consistent access point to your site. When land is disturbed after a pipeline installation, it is important to restore the wildlife habitat of the area. The process of reforestation is important because it helps to reduce carbon dioxide in the air, reduce soil erosion, and help preserve wildlife in the area. 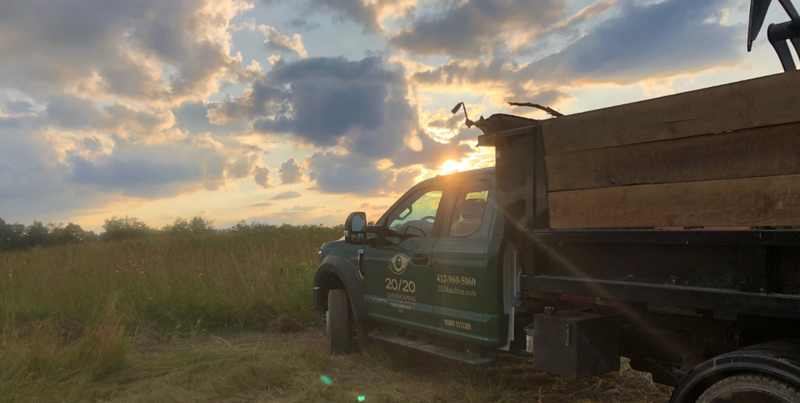 With extensive knowledge in land rehabilitation, we have the skills and equipment to help restore the natural landscape of the site. With over a decade of experience in enhancing Pittsburgh area properties, we will use our expertise to assess each job and provide the best services to meet the needs of your project both on time and on budget. Our dedicated team will provide you with quality and a keen attention to detail to assure you receive the desired results for your site development project. Contact 20/20 Landscape using the Request Free Quote to learn more about our oil and gas site development services.